The two collector's editions have been revealed. 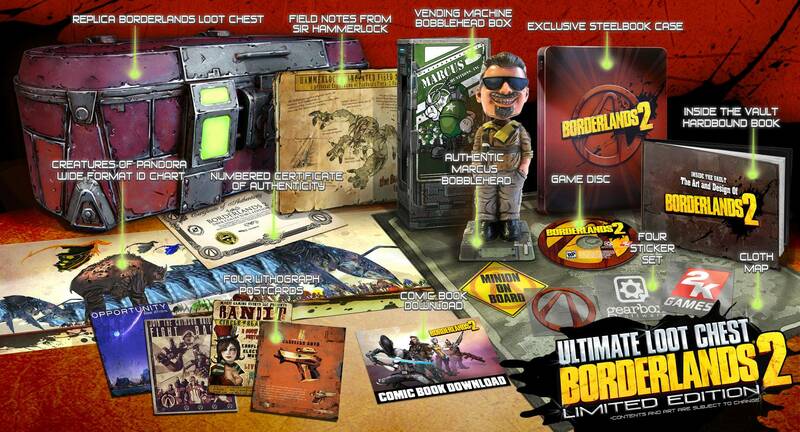 That replica loot chest is freakin' sweet, but I don't do collector's editions. It's easy for me to resist when I realize that with the $50 - $100 I save by getting the standard edition, I could buy 2 or 3 or 4 other games. That loot chest is awesome. But there's not a lot in the edition that makes me think it would really be worth it. Just preordering would get me the game, and that's by far the most interesting item! And yet... That loot chest is awesome! Ultimate edition this would be I guess. There are plenty of collectibles that I don't hesitate to drop $100+ dollars on, but that chest just isn't enough to tempt me... It does look nice though. Oh, oh, oh! Totally off-Hot Topic here but what is sig. of your tag? I believe it's just an anagram, but I could be wrong. That's funny stuff if true. I just wanna buy the collector's loot case - skip the rest as I will be Steam-ing this game. Keep an eye on eBay (but fair warning, you'll probably end up paying just as much or more). I might go for a Claptrap bobblehead or possible midget maniac, but Marcus? Meh. 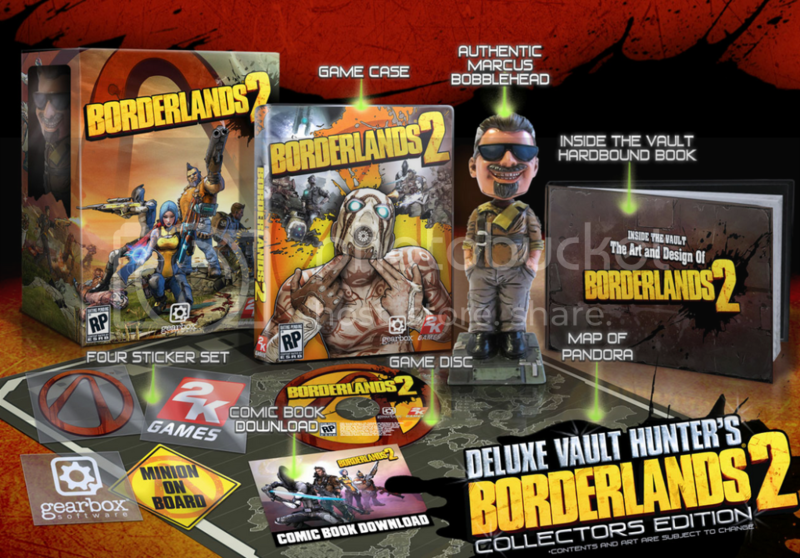 I think they went for the Marcus bobblehead because Marcus has one in Borderlands 1 (doesn't he?). Yes, he does, on the dash of his bus. Of course you want Marcus. Everybody needs to be reminded, constantly, that if it took more than 1 shot, they weren't using a Jacobs. What? It isn't funny if it isn't true? And don't forget that Tediore makes an easy to use gun! Then it's hilarious if something else. That ultimate edition is extremely tempting, for someone not broke. I'm trying to resist that chest, but the more I look at it, the more I think it'll be the perfect box to put by my console gaming station to hold controllers and other game-related knickknacks. Just wish it didn't cost as much as it does... particularly since I don't really care about all the other stuff it comes with. I hope that dog has some good stats. It's still expensive, but that's a respectable size for a collectible. Wow, the chest is bigger than I expected. Still not buying it. Willpower FTW. And large chunks of cash drop as Marcus bobble heads as well. Seems appropriate in that light. I was interested but I don't need another dog. I'm actually going to splurge on the Loot Hunter edition and use the loot chest as a storage for other game-related items. One step ahead of you- I've already gotten a 4-some together for the (hopefully) inevitable 4-pack. Also, in thinking about this this game the other day I suddenly realized that the delay for BioShock Infinite means I can really take my time with this game and not rush it. So, yay BioInf delay! Takes a lot of willpower to resist a nice big chest. I want that game... so tagging! I can't wait until september.. 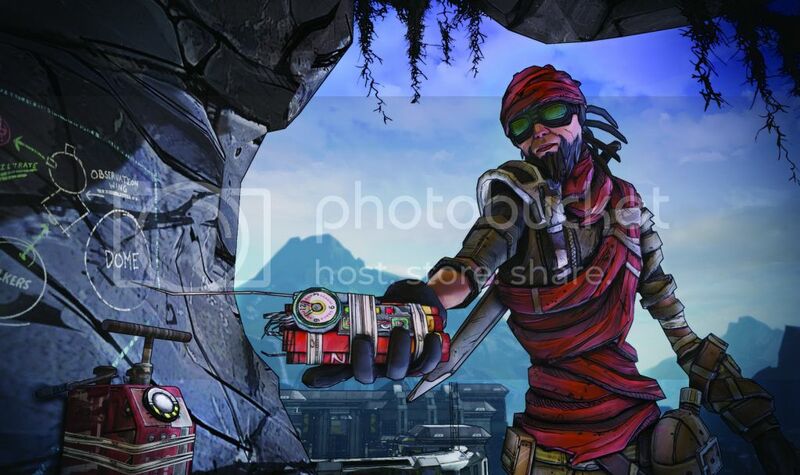 Disappointed in this artistic choice, skags looked much better in Borderlands 1. 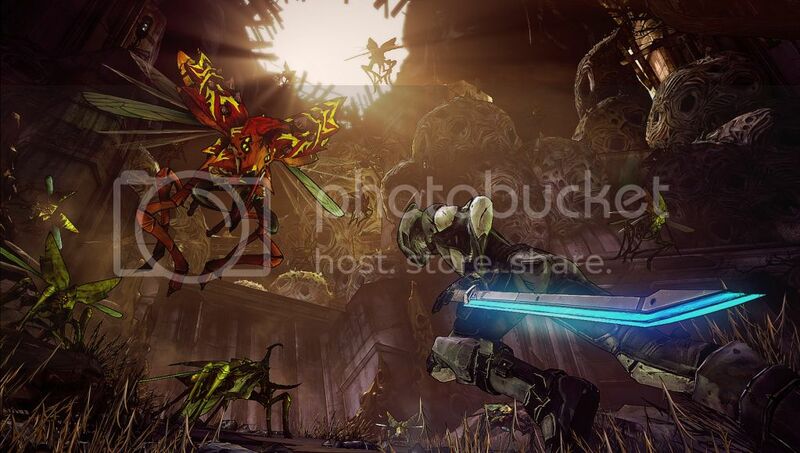 Better videos of Axton and Zer0 gameplay, each with over 10 minutes of uncut footage. 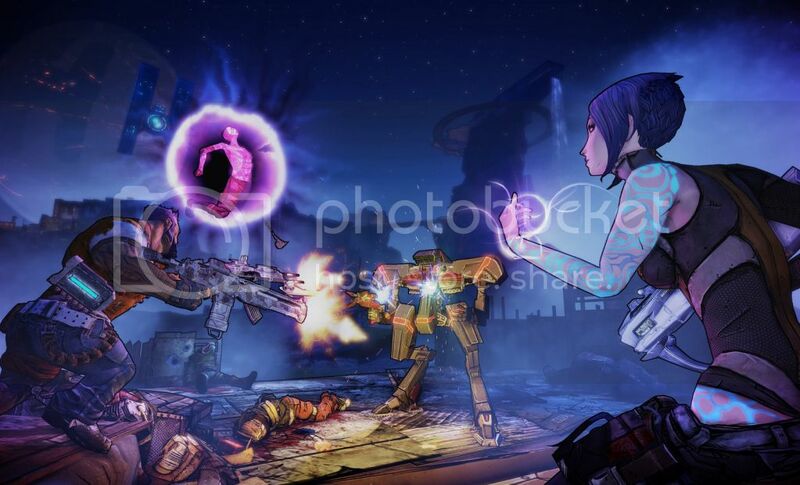 I'll take all the claptrap I can get.